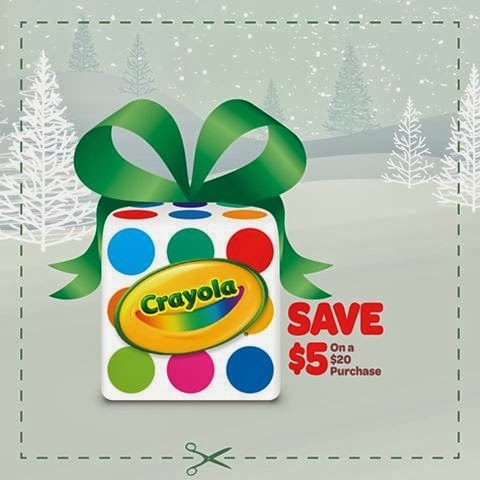 $5 Off Printable Crayola Product Coupon! If you have a Crayola Product on your Christmas List, be sure to Print this Coupon for $5 Off any $20 or more Crayola purchase. Previous postFREE Pillsbury Cinnamon Roll @ 7-Eleven Today (12/3)! Next postPick Up The Croods DVD @ Target for Only $2.48!